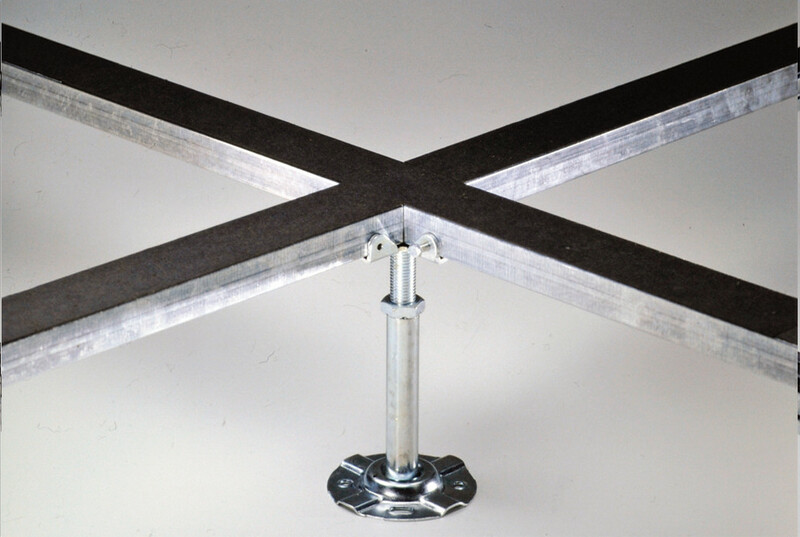 Topfloor raised access floor structure is entirely made of steel with a zinc surface coating. 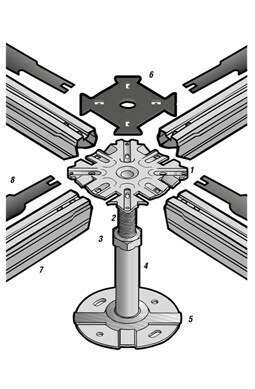 The pedestals are composed of two distinct elements called base and head, and eventually completed by stringers, depending on the height of the finished floors and the requested performance load. 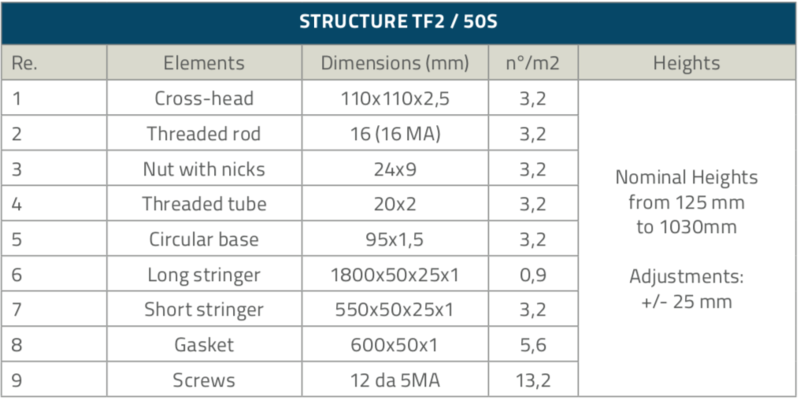 The types of substructure vary mainly depending on the height of the finished floors and the requested performance load. 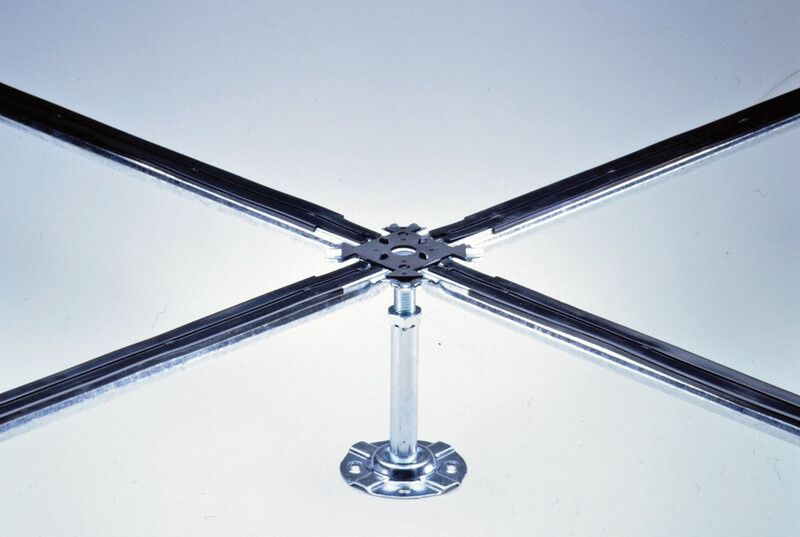 The substructure TF3/SA (pedestals only) can be used for floor heights up to 400 mm with all the panels series. In case of heights over 400 mm it is always advisable to use stringers. 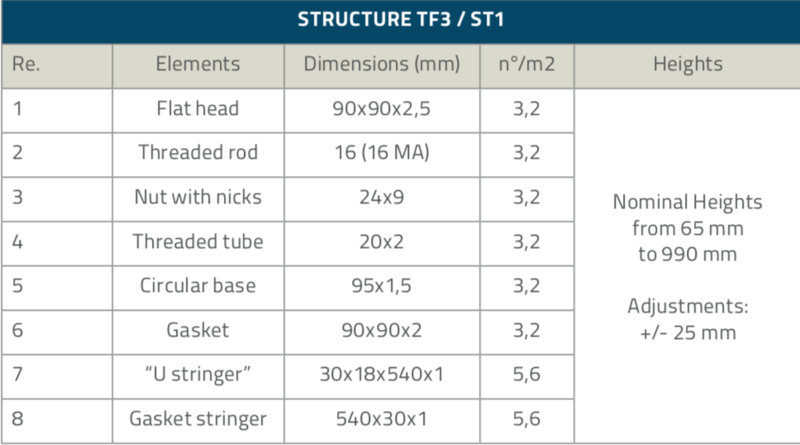 It’s possible to choose between the substructure type TF3/ST1 – TF3/ST2 – TF3/STH – TF2/50S to match the right need. 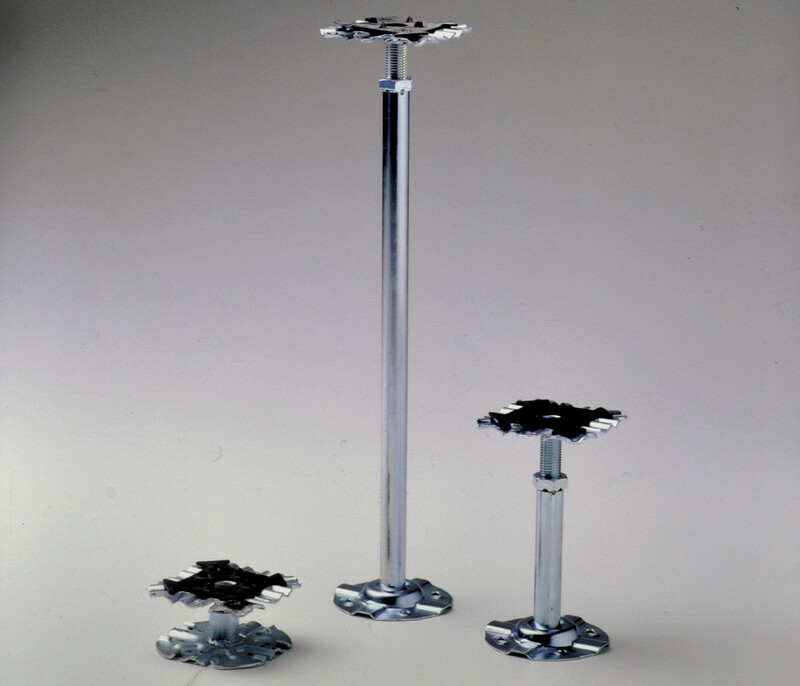 Steel pedestals with threaded rod and adjustment nut. 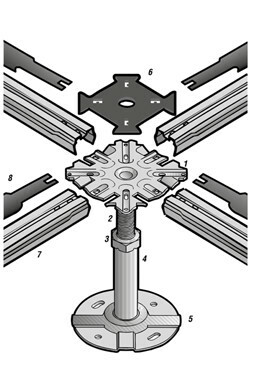 Square shake head 90×90 mm base Ø 95mm. 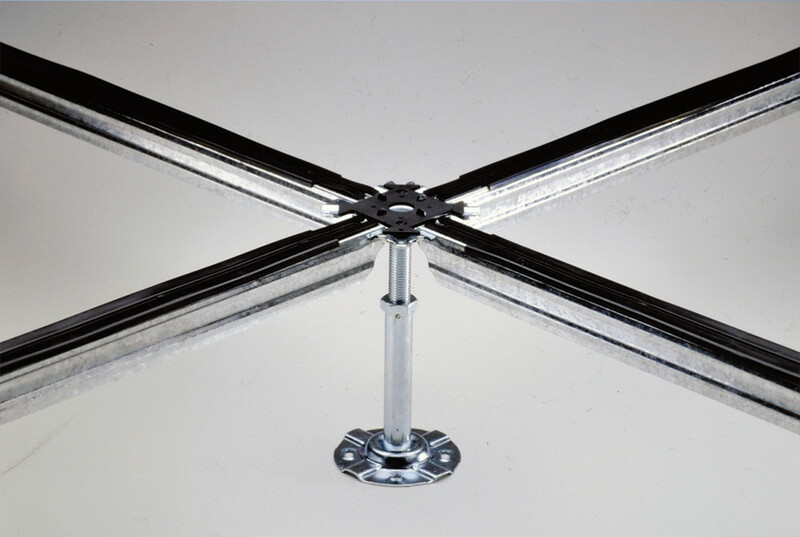 ST1 U section 1,0 mm galvanized steel stringers 18x28x18mm. Acoustic gasket included. Square shake head 90×90 mm base Ø 95mm. 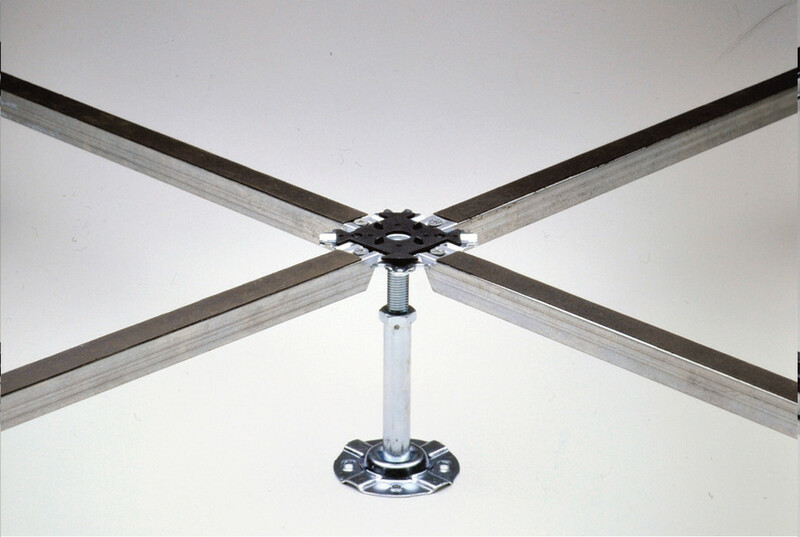 ST2 U section 1,0 mm galvanized steel stringers 38x28x38mm. Acoustic gasket included. Square shake head 90×90 mm base Ø 95mm. ST3 boxed section 1,0 mm galvanized steel stringers 25x25mm. screwed to the pedestals heads. 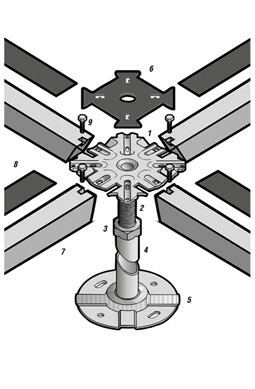 Acoustic gasket and screws included. 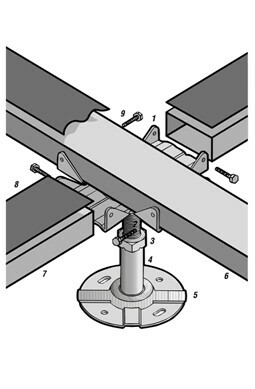 section structural stringers 50×25 mm bolted with screws and completed with acoustic gasket (mainly used in switch gear rooms).